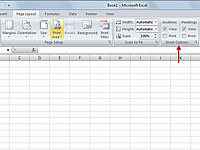 In Excel 2007, you can print gridlines or row numbers and column letters on the page. Selecting these options results in a printout that closely resembles what you see on-screen. 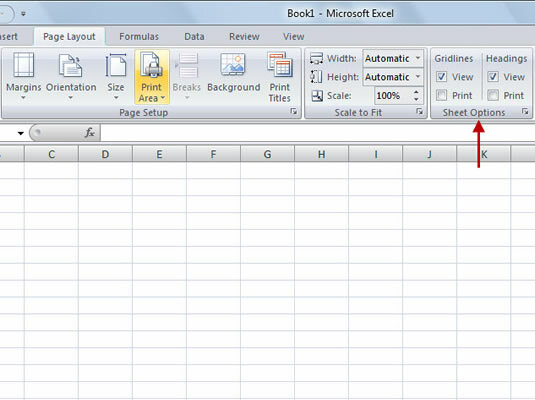 This feature is useful if you need to examine the cell references of printed data and then more easily make any necessary corrections in the worksheet. 1Click the Page Layout tab in the Ribbon. Notice the check boxes in the Sheet Options group. 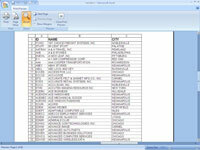 2Click the Print check box in the Gridlines column of the Sheet Options group. 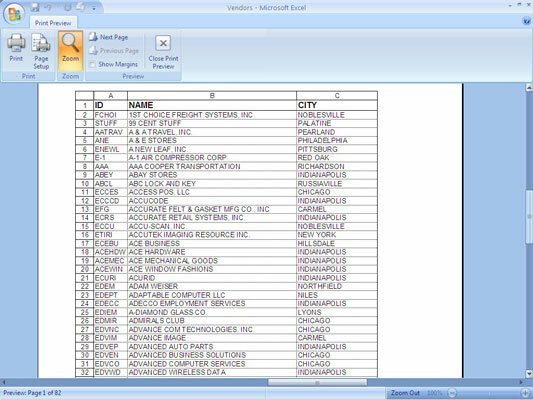 Check this option to print the gridlines surrounding each cell in the worksheet. By default, these gridlines do not print. 3Click the Print check box in the Headings column of the Sheet Options group. When this option is selected, the column letters and row numbers in the worksheet frame will print along with your print selection. 4Preview the worksheet before printing to see the effect of displaying gridlines and/or column and row headings. Remember to deselect both Print check boxes to return them to their default settings, as necessary.